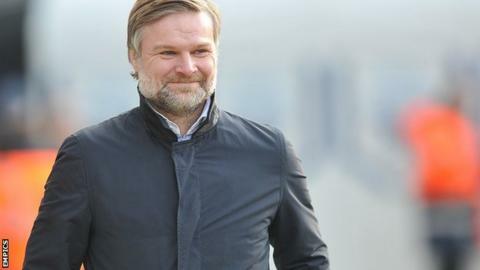 Kidderminster Harriers have sought some unpaid help from former Hearts and Coventry City boss Steven Pressley to try and turn round their ailing season. The 41-year-old Scot, who is looking to return to football management after being sacked by the Sky Blues last February, has lived in the Midlands since joining the club in 2013. He has agreed to sit in on a few training sessions with boss Gary Whild. The National League's bottom side have not won any of their first eight games. Since leaving Coventry he has been doing scouting work, while coaching at an age-group level for the Scottish Football Association. But he has one or two potential management openings lined up - and has agreed to assist the Harriers purely on a short-term basis.